Looking to tackle the Grand Canyon Rim-to-Rim-to-Rim challenge? We’ve got ya covered. The information below includes details on transportation, camping and permits, climate, weather, water, photos, and much more. Terrain: Difficult to Extremely Difficult. 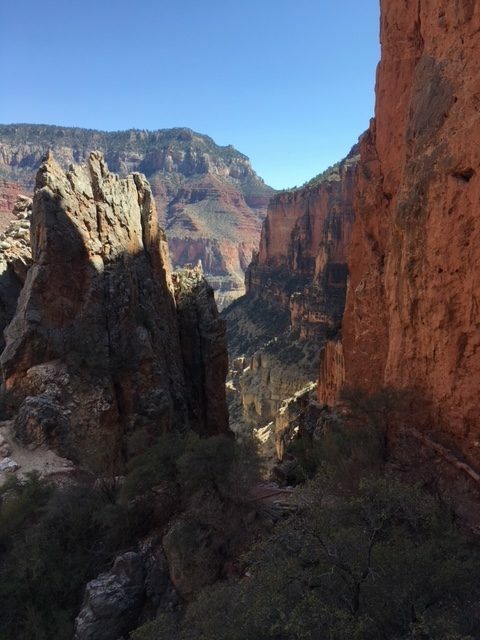 Hiking Rim to Rim to Rim (R2R2R)—the full double crossing of the canyon—is a 40+ mile day with 11,000’ of vertical gain (5,000’ of which is in the last 7 miles of the hike). Hiking R2R2R means you’ll be hiking ~7 miles from the South Rim down to the Colorado River, ~7 miles along the river, ~7 miles up to the North Rim, then turning around and doing the whole thing in reverse. If you decide to hike this in a day, be sure you’re prepared in terms of fitness and experience. Hiking down to the river and back is a challenging day in itself, and there are many signs warning against it, let alone doing the double traverse. Temperatures can vary by more than 40 degrees between the rim and the river, and much of the trail is exposed, with little shade and steep drop-offs. The tread ranges from smooth and well-maintained tread to rutted and rocky, with large steps and boulders. Navigation: The trail is well-marked and it’s difficult to get lost, but it’s wise to carry at least the park map provided by the National Park Service (NPS). The Grand Canyon is one of the Seven Wonders of the Natural World. It is an iconic American landmark and a gem of the NPS. The Grand Canyon provides visitors with a stunning view of geologic processes played out over time. I highly recommend visiting at least once in your lifetime. Completing R2R2R in a day is a bucket list item for many runners… and a few hikers. It allows one to test oneself physically and mentally in one of the most incredible landscapes on Earth. Hiking the Grand Canyon Rim-to-Rim-to-Rim unveils a world that most visitors to the park never see. By descending into the canyon, you leave the crowds at the rim behind. You truly experience the rich natural history of the area, traversing millions of years of geology over the course of the hike. On a broader level, hiking the Grand Canyon is also important because of what our national parks signify for us. They are a place where we, as a diverse people, share reverence for something beyond ourselves. The Grand Canyon has several entrances. The South Rim (open year round) is located 32 miles west of Cameron, AZ, on Hwy 64. Flagstaff Pulliam Airport is the closest commercial airport to the South Rim, located about 80 miles SE of the park. The cost for a seven-day park pass is $30 per vehicle. Once in the park, there are several parking areas to choose from, depending on where you intend to start your hike. If you plan to start at the South Rim, you can start from South Kaibab Trailhead or Bright Angel Trailhead. If you plan to start from the North Rim (open May 15-October 15), begin at North Kaibab Trailhead. There are free shuttle busses that make loops around the South Rim trailheads and village. The shuttle schedule changes with the season, so plan ahead. 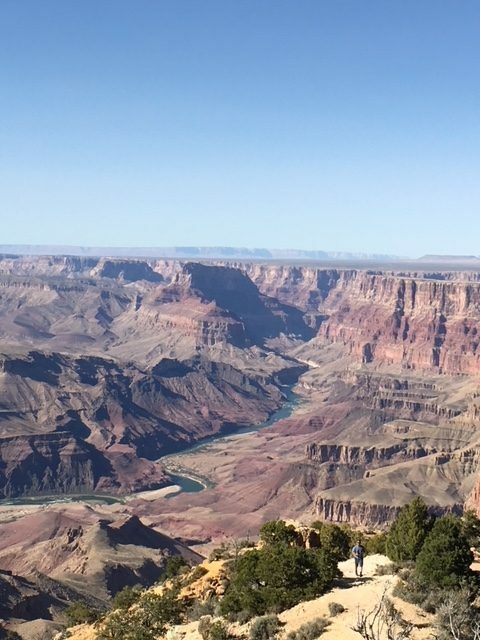 If you intend to visit the Grand Canyon or other national parks, consider other pass options, such as the Grand Canyon Annual Pass or the “America the Beautiful” Annual National Park Pass. 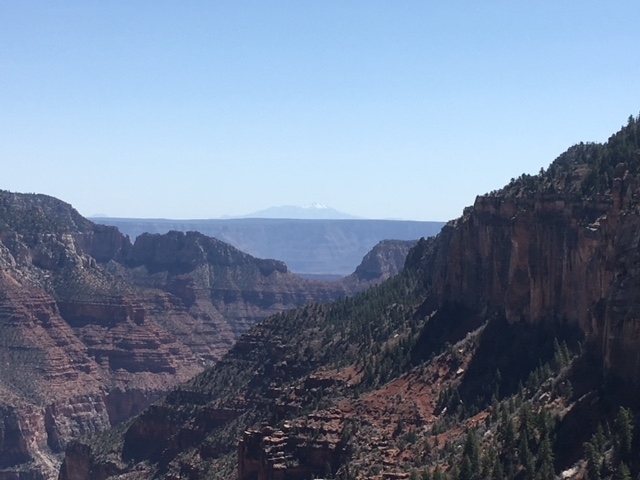 No permits are needed for day hikes; however, permits are required if you plan to stay overnight at any of the campgrounds located within the park, whether on the rim or in the canyon. These can be acquired from the Backcountry Information Center. On the South Rim, there are two campgrounds: Mather and Desert View. The fee for a campsite is $18. More information about reservations can be found here. 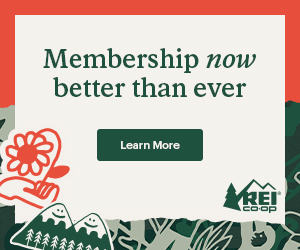 Your option on the North Rim is the North Rim Campground, which is open seasonally and has similar fees. If you wish to sleep indoors, there is a lodge at the South Rim Village. 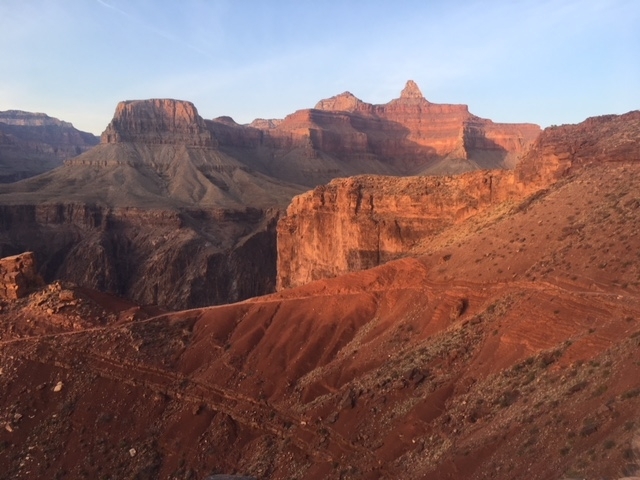 Since I completed the Grand Canyon Rim-to-Rim-to-Rim as a day hike, I parked at a picnic spot half a mile from the South Kaibab Trailhead, walking to and from my car. A Grand Canyon Rim-to-Rim-to-Rim hike is best done in the spring or fall. Temperatures in the canyon can be extreme and are often well over 100 degrees in the summer. There are water spigots located at various campgrounds in the canyon, but they are not always turned on, particularly in the late fall, winter, and early spring. Check with the Backcountry Information Center for more information on water availability. Consider bringing a water filtration device in case water spigots are off. 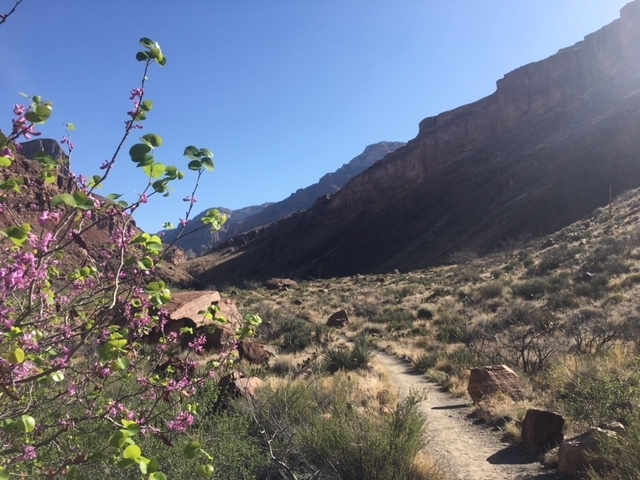 During my hike in early April, it was about 40 degrees at the rim when I started hiking at 5am, and temperatures were in the high 80s by noon, down by the river. Water was available at Phantom Ranch (at the bottom of the canyon) and Manzanita (the bottom of the climb to North Rim). The extreme climate and terrain of the Grand Canyon are not to be taken lightly. In fact, a recent survey by Outside Online lists the Grand Canyon as the third deadliest national park. Bring layers and be prepared for a wide range of temperatures. This is the desert, so be prepared for sun exposure. Have a hat, sunscreen, and plenty of water. You can find a more detailed list of the gear I carried here. As you can imagine, the hike itself is both stunning and challenging. To be honest, I did not train extensively for this hike, and was uncertain of my fitness level due to reduced activity this past year while recovering from an autoimmune illness. That being said, I always maintain a base level of fitness, I have prior experience with long days in challenging terrain, and I did a “test hike” of the Boulder Skyline Traverse (about half the mileage and elevation gain) the weekend before this hike to gauge my fitness level. Perhaps most importantly, I carried the necessary food and gear had I needed to spend an emergency night in the canyon. 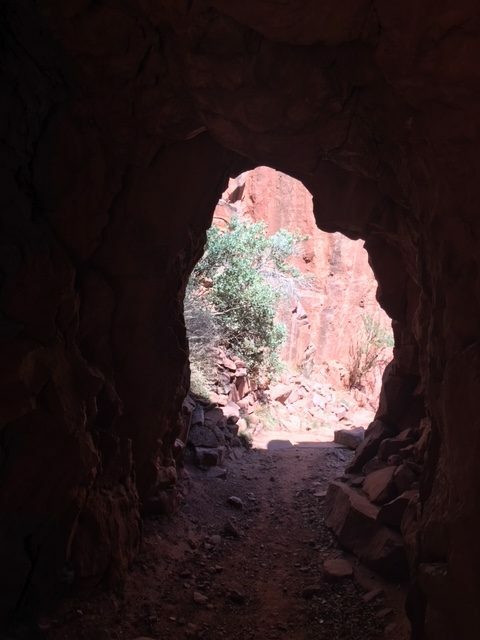 This is a remarkable hike, but it’s not to be underrated, and even in my brief time in the canyon, I saw at least 2 unprepared hikers struggling to make it out. If a 40+ mile day with 11,000’ of elevation gain is not your idea of fun, but the allure of the Canyon is calling, rest assured you have options! With a little planning, this hike can be done as a two- or three-day backpacking trip. For $10, you can apply for a backcountry permit to stay at one of the Corridor Campgrounds, located along the river. Another alternative is to complete this hike starting at the North Rim, which is open May 15-October 15. The best place to start researching your hike is the NPS site. I also found it helpful to read accounts of other long distance hikers who had completed R2R2R in a day, such as my friends Snorkel and Bobcat. I’ve also written about my hike, including more information on gear and nutrition here. Whether you do this as a multi-day hike or a day hike, this is an epic adventure through one of the most stunning landscapes on earth. I didn’t track cost, but you can find a trip report on my website katiegerber.com under the “Adventures” tab. I saw you started at 5am. What time did you finish? Your “Overview” portion total miles does not make sense. Would you mind fixing it so no confuse for others?